Tasty Babycorn-mutton Kebab for Parties.u can shallow fry this in oil or grill or barbecue these kebabs(7-8 mins per side) brushing butter on them.Post ur feedback after trying them at home. Mix all the ingredients(except oil) together well and pulse it using a mixer-grinder once for 5-6 secs. 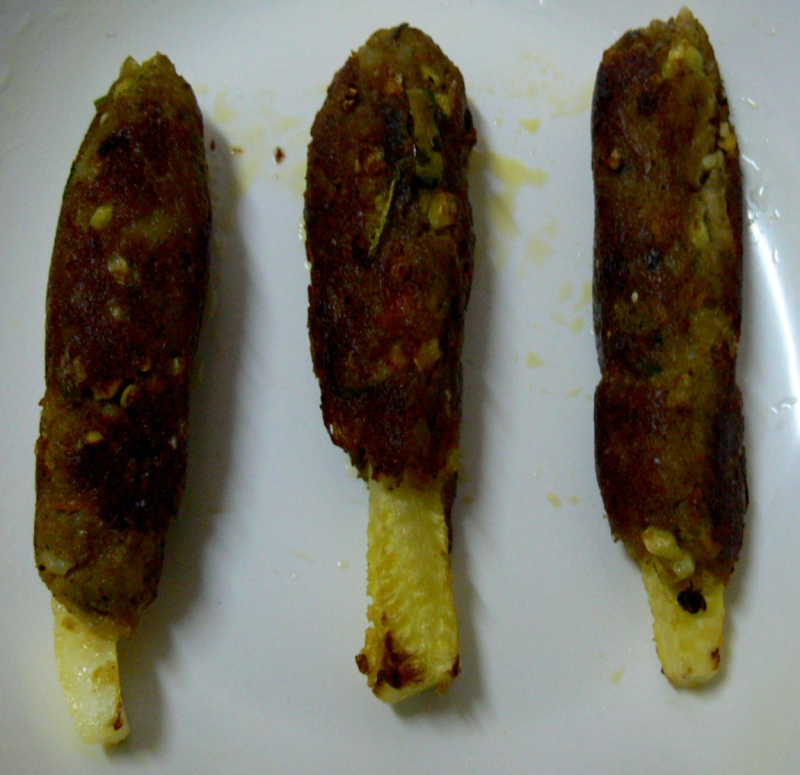 Shape the Corn-keema kebab mix around the bamboo skewers and corn stems(3 no.s) and shallow-fry till done on bothsides. Serve them hot with tomato ketchup and lemon wedges. Note:Grill or barbecue this kebabs(7-8 mins per side) brushing butter on the kebabs once. Yes rabz!.u can try this with finely celeries,spring onions,broccoli too.I wish to hear that u've published the book.Leave a comment on ur profile when done.I wish to buy one.Thanks for everything.Tc. Very nice you can also try them with "Kosa" zucchini carrots or Potatoes they also taste wonderful. Thanks.